Get guests engines going! May the fastest car win! 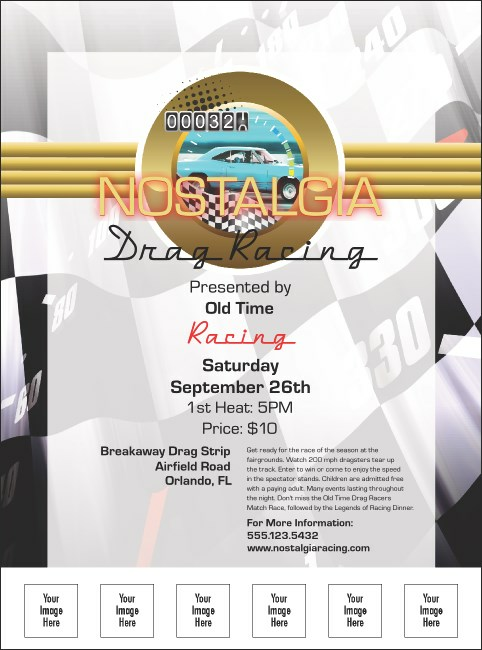 And, may you have outstanding attendance at your next event with the Drag Car Flyer! With space for six custom images and a background featuring a Classic Car and checkered flag, you can’t go wrong! Rev up the excitement with custom promotional materials from TicketPrinting.com!